Alhamdulillāhi Rabbil Álamīn w’al Salāt ū w’al Salām ū ála Sayyidunā wa Mawlanā Muhammad, Rahmatul il Álamīn, Sayyid ul Mursalīn, Khātim al Nabiyīn wa Qā’id al Ghurr il Muhajalīn wa ála Ālihī wa Sahbihī ajmaīn wa man tabīhum bi ihsānin ‘ila yawm il Dīn. Question: What do the respected ‘Ulama of Dīn and the Muftī’s of the Shariáh say about the Hadīth “law laaka lama khalaqtul aflaak” Which book is this Hadīth in? Is Sayyidunā RasūlAllāh şal Allāhu álayhi wa sallam the reason for creation or not? Are there other ahadīth that support this narration? Following is an Eye Opener Preface of the famous Book “Bahar-e-Shabab” by Hadrat Allama Maulana Shaykh Abd al-Aleem Siddiqui Qadiri Meerathi (Khalifah of Sayyiduna AlaHadrat Imam Ahmad Rida Khan Qadiri) written with extreme sincerity and honest concern towards to the youth of entire Islamic Ummah. A must must must read Book and specially the Preface! Hope you will read it yourself and share it with your contacts as well… JazakALLAH in Anticipation! ALLAH SubHanuhu wa Ta’ala has blessed humankind with numerous powers and His (SubHanuhu wa Ta’ala) Wisdom has equipped man with the knowledge of using it. Although the Creator has given such knowledge to animals, there is a unique difference between humans and animals. Since humankind is the highest order of creation, the Creator has therefore blessed it with a special faculty of knowledge that makes it superior to other creation. ALLAH has equipped the human beings to use this knowledge creatively and also enhance it tremendously. Such ability is not found in the animal kingdom. Nowadays, claims are made that man is advancing very rapidly and will soon reach the peak of perfection. Man’s advancements in technology, science, chemistry, discoveries, etc. has created a new dimension in this world. His speed of advancement is reaching the once untouchable frontiers of the Universe. His scientific advancement in technology is accomplishing that work in minutes which the physical hand could not do a hundred of years ago. The feet required years of laborious effort to cover distances while modern technology covers that in hours. In this scientific era, a train, a car and an aeroplane can traverse the globe in a matter of hours while in the past this was not physically possible. What the physical ears and eyes could hear was limited but today modern technology can hear and see objects millions of miles away. Televisions, telephones, telescopes, and wireless communications can capture images and sounds in a split of a second from the far and wide corners of the universe while some years ago this was regarded as impossible. Question: A person is a Mureed of a certain Murshid who passed away a long time ago. Now, can this Mureed of the demised Shiekh became the disciple (Mureed) of another Shiekh? Answer: It is forbidden to change the Bay’at for no specific valid Islamic reasons. Yes, it is permissible to renew one’s Bay’at (Tajdeed). In fact, it is recommended to take Bay’at with another Murshid-e-Kaamil in the exalted Silsila of Qaderiyah without breaking ties with your Shiekh. Such Bay’at will not be regarded as a new one but a renewal of the old one. This is so because all Silsilas (Spiritual orders) leads to the main stream being the Silsila of Qaderiyah. A’la Hadrat went on further: Once three Qalandars (certain type of Dervishes) humbled themselves in the illustrious presence of Shiekh-ul Mashaa’ikh, Sultan Nizamuddin Mehboob-e-Elahi (Radi Allah Anhu). They requested for food so the Shiekh ordered the Khadim (servant) to give them whatever was present. When the Khadim presented the food, the Qalandars looked at the food, picked it up, threw it and demanded better food. Witnessing this attitude of the guests, the great Sheikh did not comment, but ordered the Khadim to present better food. The Khadim then got better food and presented it to the guests. They looked at the food, picked it up and threw it for the second time. They then demanded better food. The Noble Shiekh still kept calm and ordered for better food. Better food was presented for the third time and the Qalandars threw it away and still demanded better food. After the third time, Sheikh-ul Mashaa’ikh called the Qalandar close to him and spoke very softly in his ears: “At least this food is better than the dead ox you ate on your way to me”. When he heard this, the condition of the Qalandar changed. (On their way they were without food for three days and were starving. Eventually they came across a dead ox so they ate from it to survive). The Qalandars fell on the feet of great Shiekh and cried. Shiekh-ul Mashaa’ikh lifted them up and embraced them. They were spiritually blessed by the Sheikh. After this spiritual blessing, they started dancing in ecstasy saying: “My Murshid blessed me with Ne’mah”. The disciples present there said to them: “You fool! You came here as a destitute. Whatever you received was from our Sheikh (Murshid) and not from your Murshid”. They replied: “You are fools, because if it was not by the guidance of our Murshid, why would your Murshid bless us?” On hearing this, Khwaja Nizamuddin (Radi Allah Anhu) said: “They are speaking the truth. O my Brothers (disciples), if you want to learn how to become a Mureed, learn from these Qalandars”. HUZUR GHAUS E PAK (RADI ALLAHU TA’ALA ANHU’s) lectures were full of knowledge and wisdom. They were so influential and powerful that listeners would go into spiritual ecstasy. Some of them would tear their clothes. Others would fall unconscious. On some occasions, certain listeners would become so lost in the gems of love for Allah and His Rasool (sallal laahu alaihi wasallam) that the great Saint (alaihir rahmah) presented in his lectures, that they would even pass away in this condition. On various occasions, even non-Muslims came to his lectures. After listening to his lectures they would find that they could not refute anything he said and they would willingly accept Islam. 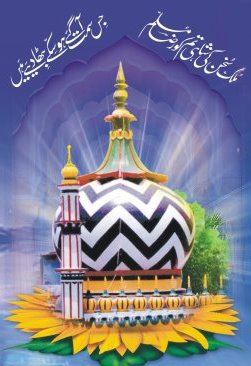 In addition to the ordinary members of the public, Rijaal-ul-Ghaib and Jinns also frequented his blessed gatherings. Akaabireen and Mashaa’ikh also frequented his gatherings. It was a training school for the young, a place to repent for the sinful, a place of guidance for the misguided, and a bank of spiritualism for the spiritually bankrupt. His voice was very stern and sharp. One of the miracles of his Majlis was that each and every person sitting there heard him alike, even though in those times, there was no means of voice amplification, such as microphones and the like. 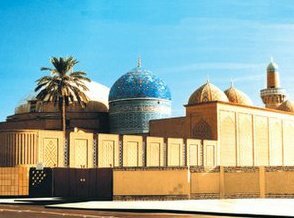 Al-Ghawth al-A’zam’s (alaihir rahmah) close student, Sayyidi Abdullah Jabaa’ee (alaihir rahmah), states that during this era of his lectures, more than 100, 000 sinners repented at the blessed hands of al-Ghawth al-A’zam (alaihir rahmah) and thousands of Jews and Christians accepted Islam at his hands. All the great scholars agree that during that era the majority of the people in Baghdad repented from their wrongs at the hands of the great Saint and also became his disciples. Qudwat al-Kaamileen, Abul Fadhl Hadrat Sayyid Shah Aal-e-Ahmed Ache Miyan is the thirty sixth Imam and Shaykh of the Silsila Aaliyah Qaadiriyah Barakaatiyah Razviyah Nooriyah. He was born on the 28th of Ramadan al-Mubaarak 1160 Hijri. His name is Sayyid Aal-e-Ahmed and his title is Ache Miya. His father was has Hadrat Sayyid Shah Hamza. Those who remain ignorant yet strive hard in their worship are merely made to dance by shayṭān upon his fingers. He places bridles in their mouths and tangs in their noses, and thus drags them wherever he wishes, whilst they convince themselves that they are accumulating good deeds.